Adobe has updated its Adobe Revel app today, which allows users to store and access photos and videos in the cloud and sync across Mac, PC, and iOS devices. Previously only available for photos, Adobe has updated its iPhone and iPad apps today to include support for uploading, watching, and sharing videos with the service. The Adobe Revel service provides unlimited uploads for the first 30 days for free, and 50 photos every month after that. Adobe didn’t specify if the same limits will apply to videos, but upgrading to Revel Premium for $5.99/month will provide unlimited photo and video imports. In other app news, Apple appears to have started accepting apps compiled with the iOS 7 SDK. We noticed one of the first– Local Cloud Pro— has been updated today with full iOS 7 support including iOS 7’s Dynamic Type and other new features. HBO Go version 2.1 for iPhone and iPad is available from the App Store now. Instagram, Apple’s 2011 “App of the Year,” just released an update to its iOS application that includes a sleek user interface, tappable notifications, a new filter, and an enhancement feature. The app is a free photo-manipulator that allows users to snap pictures, apply hip vintage filters, and then share their edited images through a built-in social network. Users can also share their creations through other services, such as Twitter, Facebook, or Tumblr. The newest version allots a much-needed facelift and provides a more modern appearance than the previous variant by displaying an overhauled header and menu buttons (as seen in the image to the right). 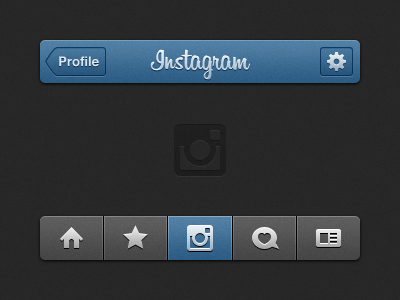 “We’ve simplified the look of Instagram,” announced the San Francisco-based Company in a blog post. Perhaps most important: Instagram now asks users if it is O.K. to upload contacts to its servers—not wanting to become the next Path.